On Thursday April 6th, we will be launching our latest book at Fenwick of Bond Street department store in London. 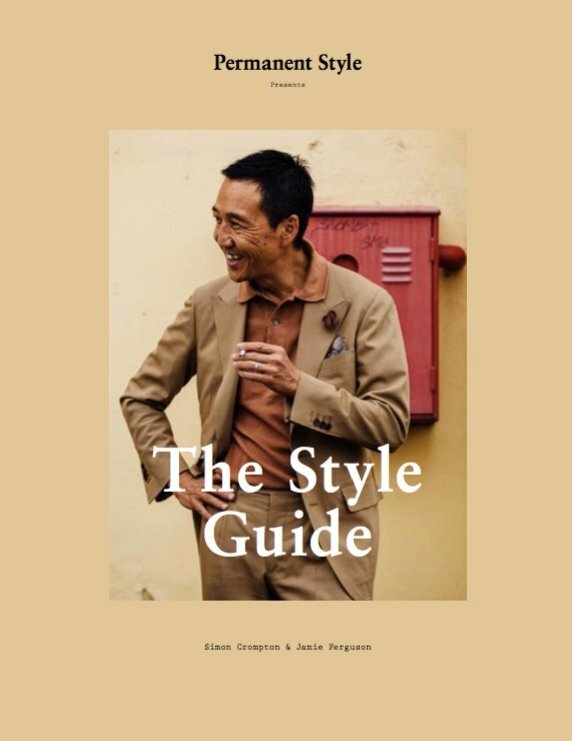 The book, put together over the past six months, is called 'Permanent Style presents: The Style Guide'. 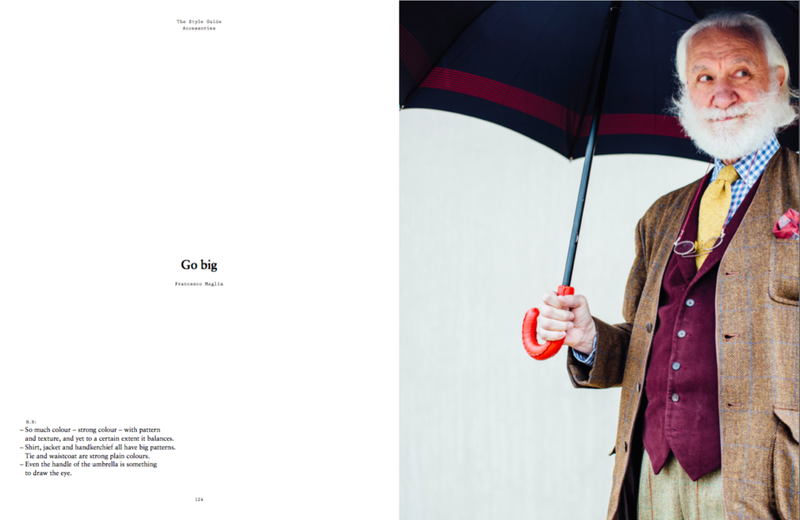 It is constructed as a series of street-style shots, largely taken by Jamie Ferguson, featuring some of the most stylish people in the menswear industry. 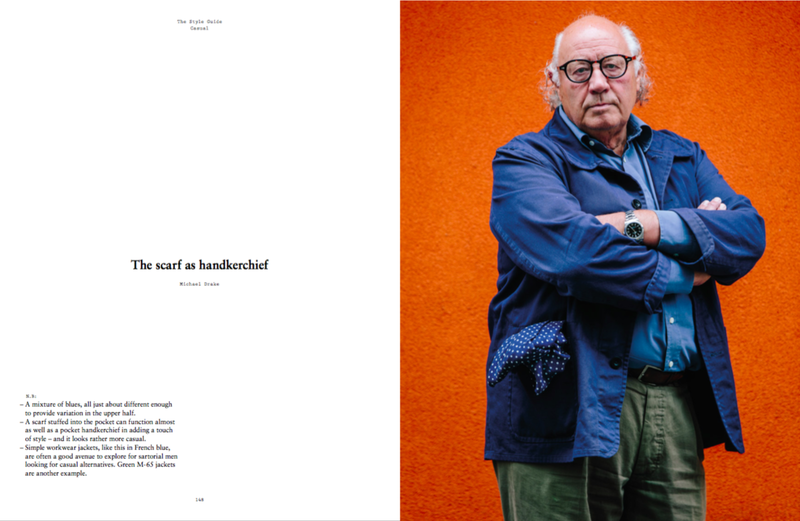 But unlike most other style books, it is deliberately written to focus on practical analysis of every image, picking up why the outfit works in terms of texture, colour or cut. I've always disliked street-style compilations that are simply a series of pretty images - that often look good because of the location, or the individual, not necessarily the clothes. So here I go through ideas of formality, colour combinations and mixing up sartorial and more casual clothing. You'll find a lot of Permanent Style themes going on: the Italian Background, the sliding scale of formality, trousers for grey jackets, dressing for a modern office, and so on. In fact, it is in many ways a summary of the most important style advice produced on PS, over the past decade. 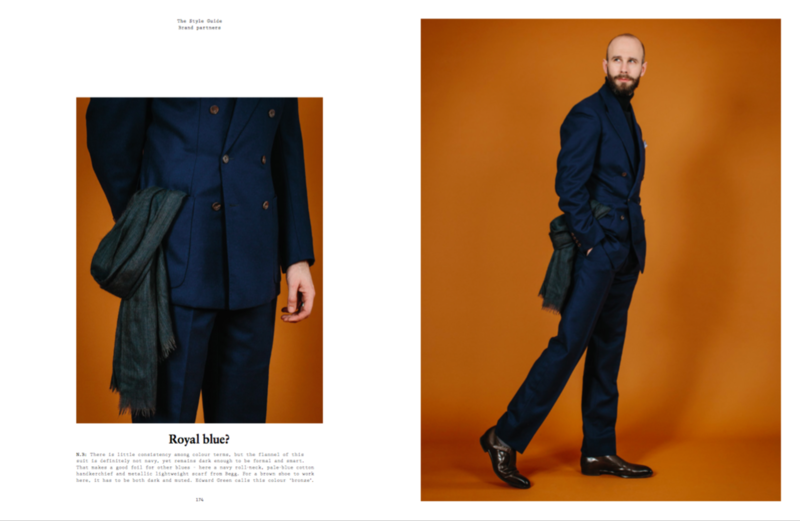 If Best of British was about history, and The Finest Menswear in the World was about quality, this is about style - what makes it, what drives it, and how to reproduce it. 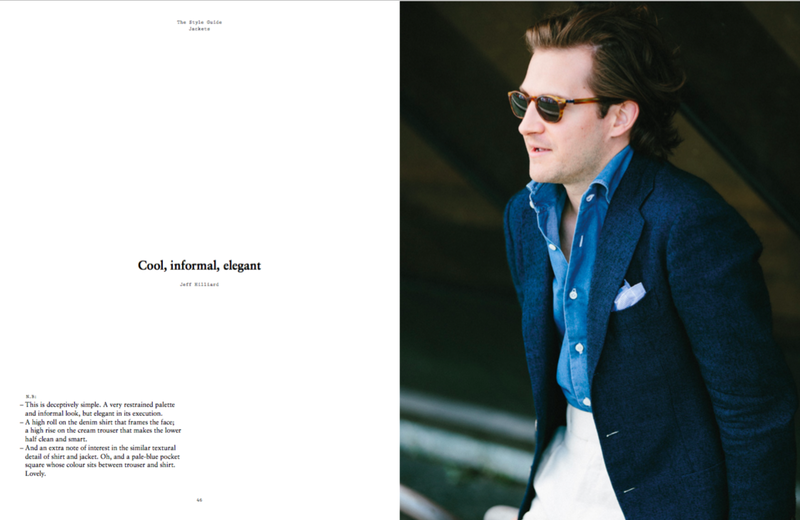 The book was supported by Anderson & Sheppard, Begg & Co, Edward Green and Vitale Barberis Canonico. We worked with them to create a special photo shoot in the back, where I put together outfits with the same practical, accessible style theme as the rest, but concentrating around their pieces. I'll feature some sample content here over the next few weeks. There will be an opportunity for readers to buy dedicated copies online, and I'll list stores around the world that will be stocking it. But Fenwick of Bond Street has exclusive availability for the first week, so do come along to the event and get a copy signed in person, by myself and Jamie. Thank you to you for your interest – and thank you to every one of the hundreds of thousands of readers of Permanent Style. For 10 years you have made it what it is, and I am truly grateful. 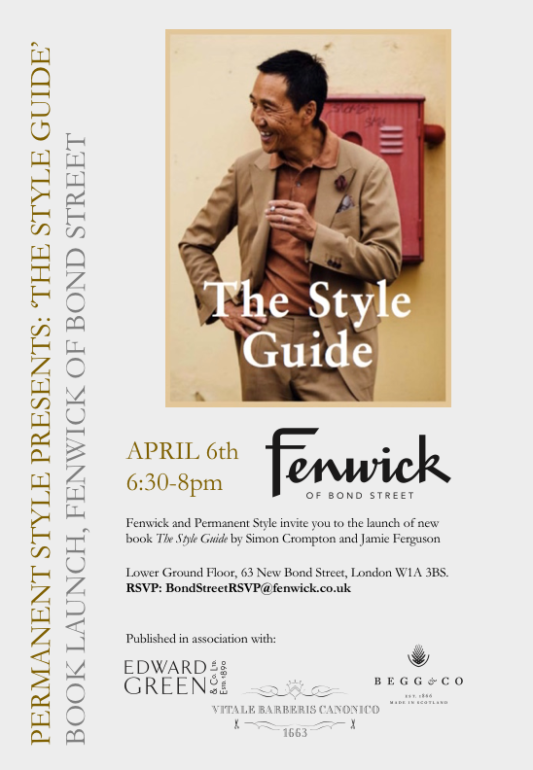 You can follow the discussion on ‘The Style Guide’ to launch at Fenwick of Bond Street by entering your email address in the box below. You will then receive an email every time a new comment is added. These will also contain a link to a page where you can stop the alerts, and remove all of your related data from the site. I wouldn’t have put someone smoking on the cover. There’s nothing stylish about cigarettes. I hope the book sale is a sell-out – but make sure they’ll be copies available online. This book looks terribly interesting and I am anxious to pick up a copy. Will there be outlets for sales in the US? Yep. Just New York so far, but do mention it to your friendly local menswear shop! First off, let me say how wonderful I’m sure this book will be. Its predecessor is a fantastic collection. Agree on the smoking point, however. Surprising of all the varied and amazing images featured on PS to put that one on the front cover (the colour of the suit and shirt fit wonderfully, of course, but so would many other photos, I’m sure). I know its a bit prudish of me. There is, I notice, a strange connection still between smoking and the fashion world (photographers still seem to view smoking as strangely avant garde, rather than old fashioned) whereas everyone else essentially agrees its incredibly unstylish these days (a chemo drip and hospital gown being, sadly, one of the more probable “outfits” which the smoker ends up wearing). Unfortunately his habit also seems to already have affected this gentleman’s teeth – as it will tend to do. As long as you’re not smoking inside, airing out clothes, especially wollen fabrics, will take care of the smell. Whehter the smoke has any damaging effects on the fabrics themselves, I wouldn’t know. When will i be able to buy online, can i reserve a copy now? I hate smoking as much as anyone, but I like the picture and think it makes for a nice cover. Can I buy it through your website? I am your reader from Asia and I really love your style! The idea of this book is a very good one. Indeed, it’s not enough to just have Instagram, Tumblr or Pinterst at our disposal! Now upon seeing Michael Drake’s pic, it dawned on me that it would be an excellent idea to plan an interview with him on the topic “menswear today”. Since the post on his “philosophy”, I presume he has kept thinking on key issues he has been musing over and thus might want to share again his ideas with a broader audience. As you well know, PS readers have greatly expanded since that famous post. Personally, I greatly appreciate his keen sense of quiet sophistication. 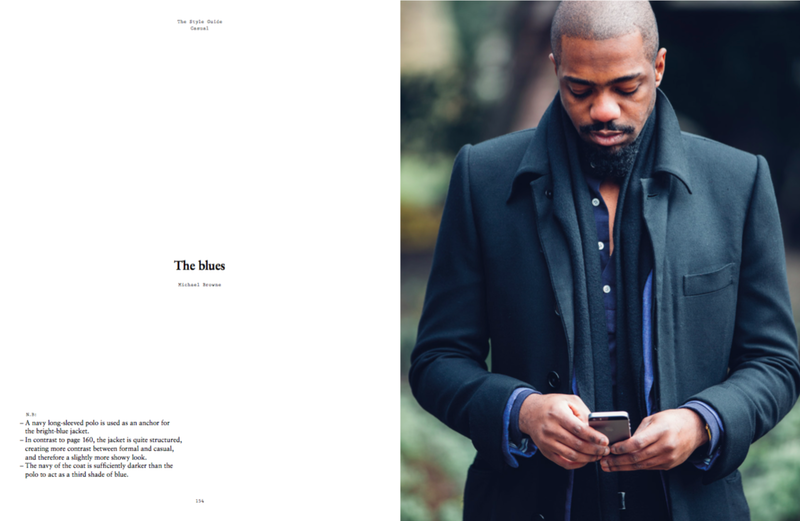 So – keeping PS readers in mind, an update of how he sees the state of menswear and today’s real challenges would be very very helpful. And perhaps it would entice him to seriously consider a book of his own on the subject! We have already digested his philosophy. What comes next that we ought to know? To rise up to challenges ahead,, there would be a need to capitalize on the available ressources. Terrific news on the book, best of luck with the sales. Will it be available in Toronto, Canada? You visited Leatherfoot last April and I’m hoping to be able to pop by there to pick up a copy. If you can let me know I’d be delighted, thank you. I’m just waiting to hear from them – do give them a nudge if you’re in! Simon, the book looks great. 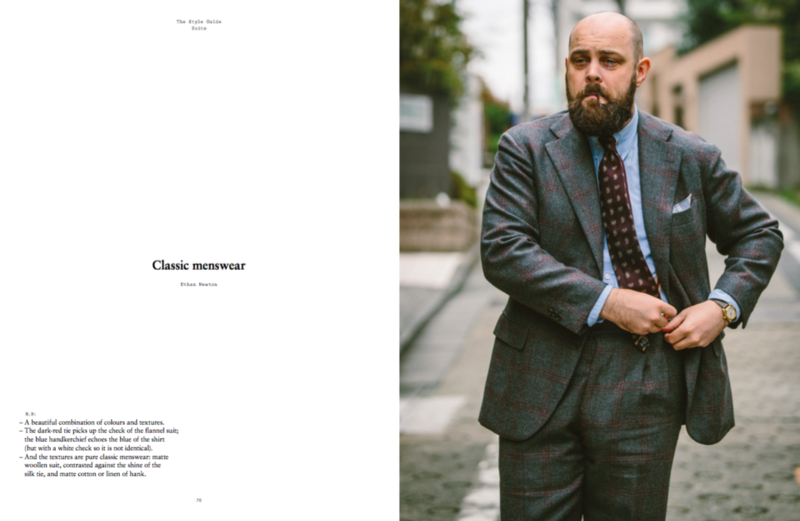 I hope you have a fair few copies left as I’m thinking of putting a bulk order in and giving them to a selection of clients when I launch my new tailoring company in September. I don’t know how many readers you have in Dubai but perhaps this time next year we can do a launch of your next book there. That might be nice Matt, let me know. They are selling well, but I don’t see us selling out for a few months. Don’t suppose you know where Michael Drake got his French work jacket? I’ve heard Vetra but a quick look at their size charts reveals that particular brand runs very slim. I’m not quite as large as Michael and even their largest size is far too small. As an aside, if you were ever to do a feature on dressing for bigger guys, I think that MD would be a perfect example on how to do it well. He looks great in just about every picture I’ve seen. This looks great. But why don’t you offer it on Amazon like more or less all publishers normally do? 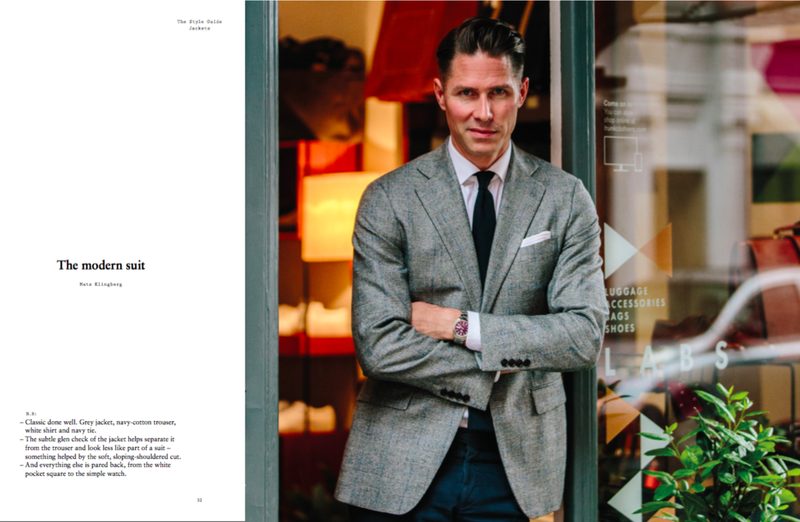 i believe to have read somewhere in your blog about the maker of Mats Klingberg’s jacket clothe from “The Style Guide” and can’t find that anymore. Do you maybe know which clothe it is anyway? Many thanks! I don’t think I’ve mentioned that before, but I’ll ask…. Hi Simon, great, many thanks! Thanks - perhaps more measured comments in the future. Nice to feel we're raising the quality of public discourse. This might also be affected by the fact the trousers don't have a very high rise.